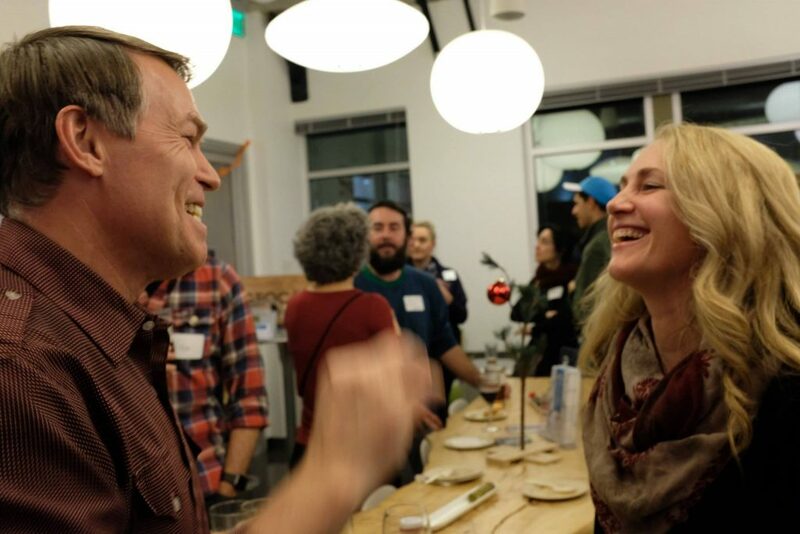 And just like that, one of the evening’s sponsors, Jenn Seva of Geocaching, broke the ice between the employers and job seekers in the room and networking began in earnest at the 2018 AdventureConnect holiday party in Seattle, Washington. Adventure travel industry professionals — friends, colleagues, and business partners — were gathered for the popular annual event that always promises a jovial environment, new connections, and a much anticipated drawing for prizes such as trip giveaways and travel gear from Adventure Travel Trade Association (ATTA) member companies. Open to both ATTA members and non-members alike, these typically free events are important for introducing new talent and fresh faces to the industry. 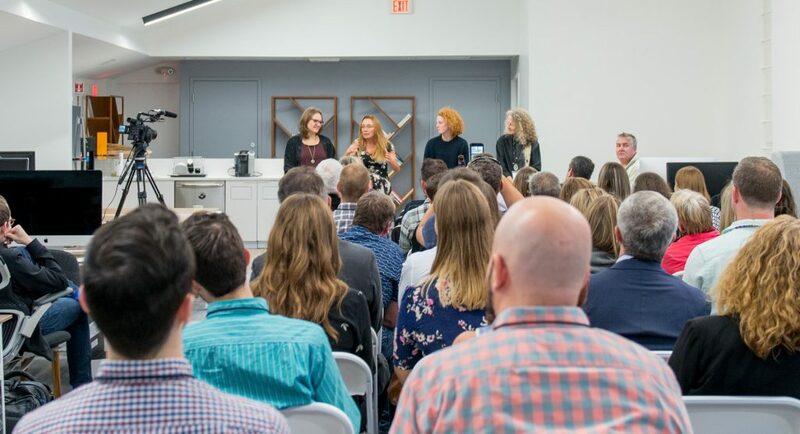 They also serve as a local gathering spot for community members who may have scheduling or travel conflicts that kept them from attending larger industry events. With so many industry players in one place, the events also provide viable sponsorship opportunities for gear brands, destinations, and companies, increasing brand exposure to specific target markets. Some AdventureConnects take place at large travel events where community members naturally gather, such as ITB Berlin, WTM London, the New York Times Travel Show, and TravelMart LATAM. 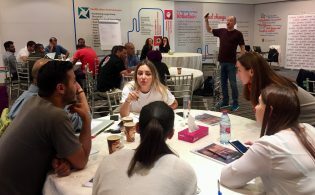 Other events take place in cities where ATTA members and regional representatives have volunteered to support and coordinate on-the-ground logistics. In 2018, AdventureConnects featured exciting adventure activities and professional programming. 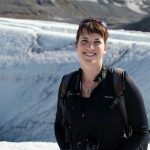 We went snowshoeing in Seattle and kayaking in Vancouver, learned from an impressive panel of women leaders in Boston, and screened the finalists of the Adventure In Motion film contest in Denver. At some AdventureConnects, ATTA senior staff and destination partners presented global adventure tourism news and trends based on recent industry developments and ATTA research, giving participants the chance to engage in facilitated disruptive networking conversations, which lead to productive collaboration, business development, and strengthening of networks. 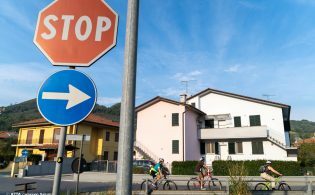 While AdventureConnects originated in Seattle and have continued there regularly for years, they have expanded to cities across the globe — 19 different cities in 11 different countries in 2018 alone. In an age where many people connect online, AdventureConnects activate and engage adventure travel communities in fun and casual environments in our members’ own backyards. 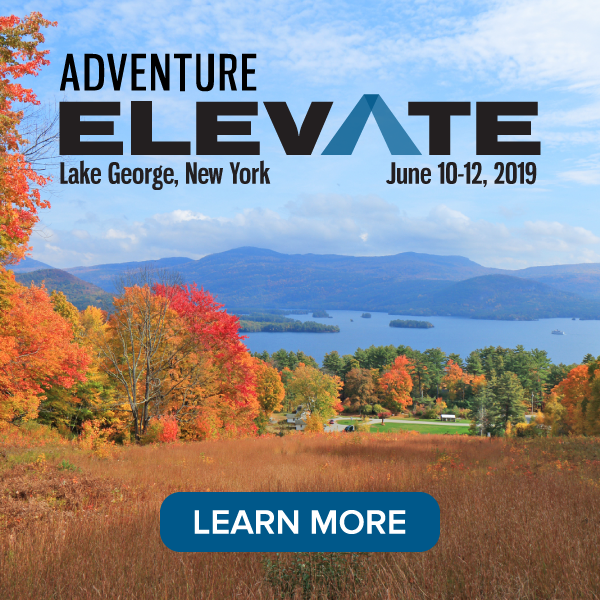 Stay informed about 2019 AdventureConnects in your region by signing up for event invitations. Click on “more subscription options” to select your region. If you are interested in volunteering at an event or sponsoring events, please contact us at [email protected]. And we continue to hire at Geocaching Headquarters. Please reach out if you have any questions. Who from ATTA management will be at the New York Times Travel Show ? We will have two ATTA team members at the NYT Travel Show, Christina Beckmann (our senior director of strategy and impact) and Kim Edwards (one of our member advocates).